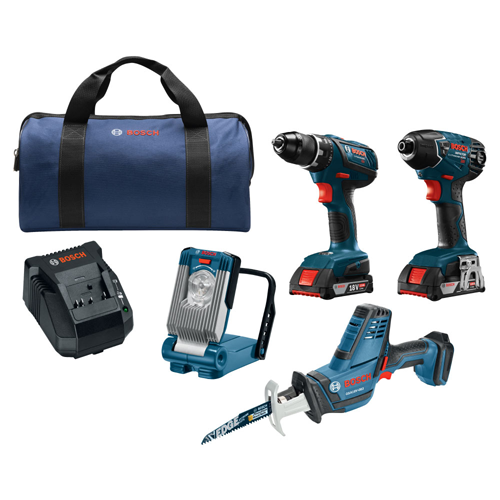 The Bosch CLPK496A-181 18V 4-Tool Combo Kit provides users with an efficient way to get into cordless driving, drilling and cutting power, all on Bosch's 18V tool platform. 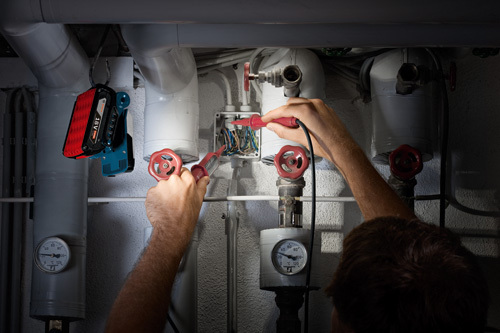 This kit includes the Bosch DDS181A Compact Tough 1/2 In. Drill/Driver. It features a compact motor, which delivers the same power as conventional 18V motors at a lighter weight. The drill is designed with a metal gearbox producing 600 In.-Lbs. 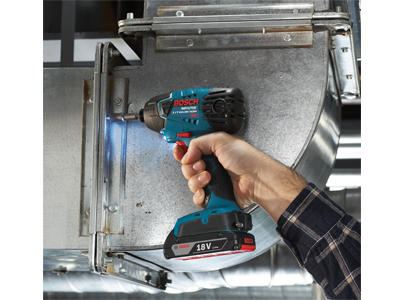 of torque and a heavy-duty chuck for additional tool robustness. The 1/4 In. hex impact driver is a hard-driving tool that can generate 1,500 In.-Lbs. of max torque. It is ideal for repetitive driving jobs, with up to 2,800 RPM and up to 3,200 BPM. 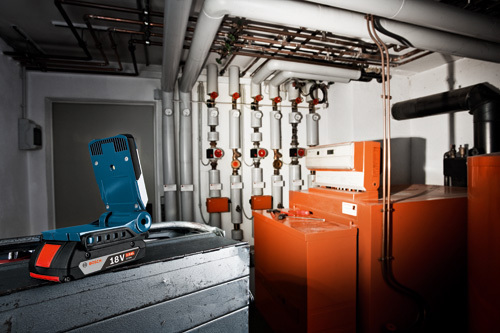 The GSA18V-083 reciprocating saw is compact – only 15-3/4 In. long and only 4.4 Lbs. (tool only, without battery). 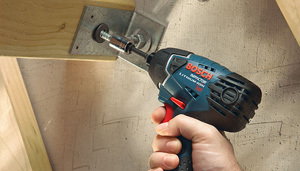 With has a variable-speed trigger, it is fast, delivering 0-3,050 strokes per minute. 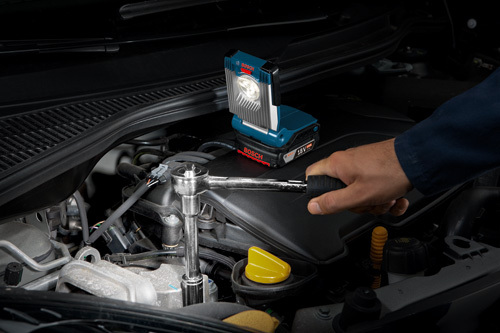 The GLI18V-420B worklight provides bright illumination (420 lumens), with three dynamic, innovative LEDs. It has a dial to adjust the light diffusion, to shine a high-intensity spotlight on a specific work area or diffused light over a wider area. The kit comes with two 18V 2.0 Ah SlimPack batteries that provide outstanding runtime and an 18V charger.